There have probably been poets – and poetry readings – in caves since the beginning of human society, and certainly there have been public readings in caves since electricity made them possible. But, extraordinary as they can be, they are rare indeed. Now, thanks to a partnership between the Central West Writers' Centre and the Varuna Sydney Writers' Festival, an Australian audience has one of these rarest of opportunities, to hear five of their finest contemporary poets reading in the magnificent Cathedral Cave at Jenolan on May 13 at 4pm. 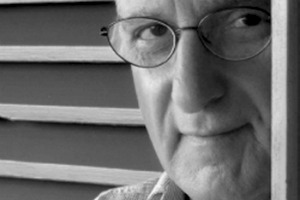 David Malouf, Mark Tredinnick, Judith Beveridge, David Brooks and Brenda Saunders will perform their work in the cave and then meet for drinks with guests in Caves House afterwards. The haunting quality of the occasion will be enhanced by the sound of shakuhachi flute on arrival and departure. The reading will last approximately an hour and a half. Be warned that there are 240 steps in, and 240 out again. The association of poetry with the Underworld is profound. The Orphic voice – the cave voice – is a part of poetry everywhere. Orpheus, the ancient Greek poet-of-poets, descended into the Underworld in search of his beloved Eurydice, and ever since he did so such descents have been an integral part of legend and the world’s great poetry. Odysseus descends into the Underworld to consult Tiresias and to find his way home, Aeneas descends, Dante descends. Nowadays this is more likely to be figured as a descent into the self. Ted Hughes descends. Sylvia Plath descends. Bruce Beaver descends. Dorothy Hewett descends. In the Jenolan Caves there is one difference ... you'll need to climb to get in and descend to leave.